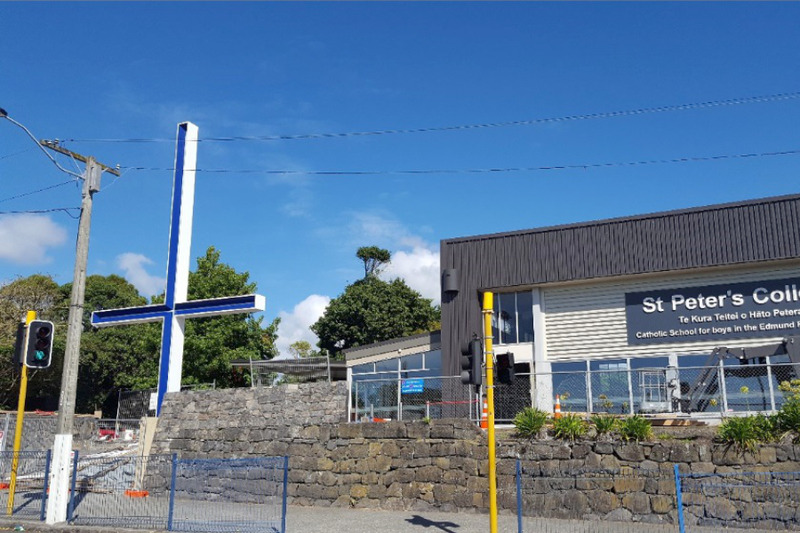 The project involved the design of a cantilevered steel St Peters cross sculpture that appears to float at the top of a flight of entrance stairs. Engineering design also included foundations, insitu concrete stairs, slender steel framed handrails and stone clad retaining walls. The steel cross is a custom welded 500mm deep UC section with faceted flanges at the central junction. Base fixity is provided by a bolted base to a concrete pile cap that is tied to the natural basalt rock via four splayed 150mm diameter Micropiles. Cross after installation, Mountain Rd entrance. St Peters Entry Cross unveiling night.